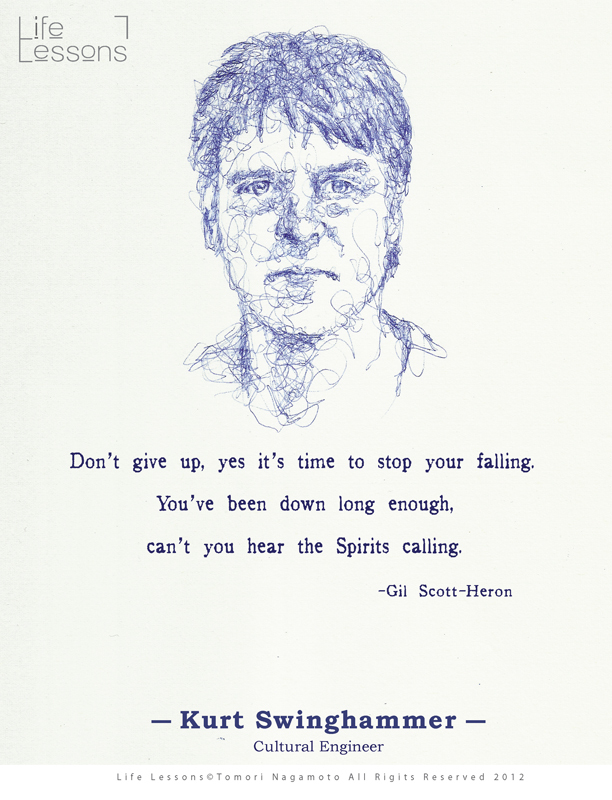 This is the portrait that Tomori Nagamoto did of me for his 2012 Luminato installation Life Lessons. It includes images of 311 Torontonians who have contributed something unique to the city. 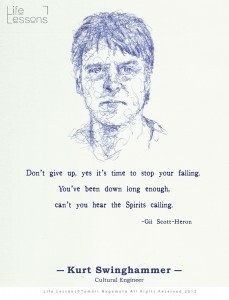 Each subject was asked to submit a quote that related to a lesson of life and I chose a fragment of a lyric by Gil Scott-Heron. Sept 29, 7:00 till ?, 333 Dundas East (East of Sherbourne, South side).